"Fullchance performs both Primary and Secondary rubber compounding in-house, unique to low-cost region rubber manufacturers"
Not all rubber molded parts are created equal. Rubber molded parts may "look and feel" the same from one supplier to the next, but they can differ greatly on "quality" and "consistency" of the rubber material. There are hundreds, if not thousands, of rubber molders worldwide, and there can be significant differences in their parts with regard to quality and consistency of the materials, especially over multiple shipments, through time, to the same customer. Fullchance has an industry reputation for their advanced material compounding capabilities and delivering consistent, reliable parts every time - all the time. Our compounding practices, coupled with our quality control procedures, ensure this. Fullchance is perhaps the most advanced compounder of rubber in Asia. We have a major competitive edge in that we provide both Primary and Secondary compounding "in-house", where a majority of the competition outsources this function. This is a major quality control as well as costs savings advantage to Fullchance which is passed forward to the customer. We do not outsource our compounded materials and buy from the "lowest cost bidder". We control and formulate our rubber in house from our own imported raw material, and we provide lot traceability for every part. In addition, we are able to provide highly custom solutions to your particular application. Fullchance has achieved primary compounding certifications from the most well-known material producers and additive suppliers worldwide. All raw rubber material is imported from Southeast Asia, Europe and the United States. Fullchance is very knowledgeable of advanced compounds and exceeds most common certifications and approvals including, but not limited to: UL, ASTM, RoHs, FDA, NSF, plus many more. Our raw rubber is imported into Asia and meets the North American Standards ASTM, National Standard GB, Japan standard JIS and European standard DIN. Imported raw rubber is strictly evaluated and testing during the importation process. Stringent control procedures are also in place throughout all stages of compounding to production. Each batch of rubber is monitored and controlled using the Vulcanization Curve. In addition to compounding, Fullchance can reverse engineer your existing rubber parts and analyze them in our chemistry labs to determine the exact rubber formulations/compounds. Fullchance maintains a staff of highly qualified chemists and engineers at all factories. Finally, Fullchance's ability to perform both Primary and Secondary compounding allows us to respond very quickly to FA (First Article) parts and prototypes. We are proud to boast the shortest lead times in the industry, and our in-house compounding capability is one of the reasons why this remains true today. The process of compounding starts with the importation of raw material. Fullchance imports all raw rubber material from Southeast Asia, Europe or the United States. Resins and rubber additives are purchased direct from major suppliers throughout Europe and the US to be added to raw materials for the Primary Compounding process. The first stage of primary compounding is begins with bulk raw rubber material being mixed and blended with additives, creating chemical reactions to achieve the desired rubber formulation. Fullchance has extensive blending and mixing equipment and machinery at all 4 manufacturing facilities. Certified chemists are employed at all factories and oversee Fullchance''s compounding operations. Material is roughly pressed and rolled out before going to curing process. 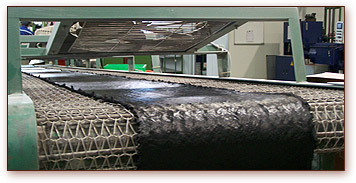 Additional presses roll rubber to achieve desired thickness before final curing. Compounded material is placed on specially designed curing conveyors to very precise and calculated speeds and controlled temperatures (depending on the particular compound) during the curing process. Each material has its own characteristics and requirements for curing time and temperature. Fullchance has perfected this process in our 30 years in business, and we understand the exact procedures and process for each material we work with. Cured material is rolled into fine sheets before being cut and slit in preparation for the molding presses. Factory workers run compounded rubber in sheet form through knife machine which cuts the rubber into "strips". The strips are cut to size particular to the tools and parts being produced on the current work order to eliminate waste. After the rubber is cut, samples are systematically taken from the compounding facilities in compliance with Fullchance (and ISO) policies and taken into our chemistry labs to ensure achievement of the proper material compounds. Quality Control Engineers and Chemists record and document all compounded material for Fullchance and customer files. We can provide material lot traceability on any part produced at any Fullchance factory. Compounded material in "strip" form is transferred to production floor accompanied by corresponding work order and inserted into the tools/presses to produce parts.